I’m writing this post in honor of my Sister, a non-gardner, who is completely unaware of which flowers bloom after the Spring Daffodil, Tulip, and Cherry Blossom season. So, for my Sis, I’m going to post as frequently as possible when new things start blooming in my garden with some gardening tips along the way. My Daffodils have now completely faded and my Tulips are going the same way. I have had a few individual White Irises bloom. (Primary image no editing. Secondary image edited on Oggl using Chivas Hipstamatic Lens with Maximus LXIX Film. Very First Of My Day Lilies. So Sis and friends, if you are reading this, Enjoy! Also, for my friends, my Sis and I are playing with photo effects with Oggl, Hipstamatic, and a few other photo apps, so a lot of my photos will use some of those. Again, Enjoy! Wow you’re way ahead of us in New Jersey! We get our tulips and irises in May. The daffodils are still around and the cherry blossoms haven’t all bloomed yet. Thanks and thanks for stopping. My sister lives in DC and she still has tulips, daffs and cherry blossoms too. Most of ours have waned. Have a great spring. I hope you’ll swing on by http://image-in-ing.blogspot.com/2015/04/french-corner-bakery.html to link up! Thanks and thanks for stopping. I visited you and also posted to your Linky. Lovely photos! I especially like your blue iris! Thank you. And thanks for stopping by. What a sweet treat for your sister. All of the beauty in the garden with none of the work! We are nowhere near the blooms you have. I am just enjoying the daffodils now. I find as I get older that I no longer wish for things to bloom so quickly but rather they come slowly so I can enjoy them at leisure. Alas, they bloom as they will with no regard for my preferences. Thanks and thanks for stopping by. The season goes both too quickly and too slowly at the same time. I love to savor the beauty of the moment, but am always anxious to see what comes next. Your spring flowers are way ahead of mine, though mine are early compared to other years. My irises are not blooming yet, it’s great to see yours, the various treatments are interesting. It will be a while for my Clematises too, though one rose is blooming already. The Clematis is a lovely red, I don’t have that color. Thanks and thanks for stopping. I am impressed that you have a rose blooming. Mine aren’t even thinking about it yet. Your have some lovely spring blooms already. You area must be zones ahead of our 5! My Clematis are just popping out of the ground! Your blue Iris are so pretty, I do not grow them. Thank so much for stopping by and letting me know you like my garden post on Clematis! We are Zone 8 here. And this has been a particularly mild winter, so we are even ahead of ourselves. I love it when the real showtime starts. So many lovely photos.I like the photos of the irises best. They are my favourites but I have to wait for them another fortnight. Thanks for coming by. I love the irises too. We have an iris farm in our city which has an iris festival in May. It is always nice to go up there and see the display garden. it was a bit hard to find you. The link went elsewhere. Thank you. Thanks for coming by. I’m glad you did finally find me. Lovely photos. Thank you for sharing at the Thursday Favorite Things Blog Hop! Thanks and thanks for stopping by. It is always fun to visit the different blog hops and see what everyone is doing. Thanks for having yours. Gorgeous! My Iris are just getting ready to bloom. I have a purple Clematis blooming and a lot of others in bud. Love your red one! That is an unusual color that you don’t see often. Looking forward to seeing more of your garden posts! Thanks for sharing with SYC. Thanks for stopping by. Yes, spring time is upon us and I am so happy to see all new things in the garden every day. My red clematis is a beauty, but real prone to wilt. I hope I gave a little time for blooms before I have to cut it back. My irises are just getting started. We live very close to Schreiners Iris Farm so it is always a temptation to get more. Hello, Yael. 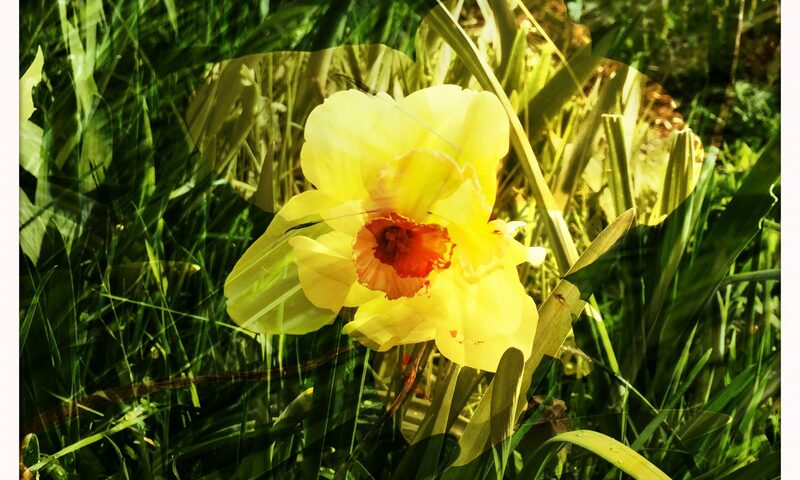 Some wonderful photos and edits of these beautiful Spring flowers! Many thanks for participating in Floral Friday Fotos. Your input is appreciated.